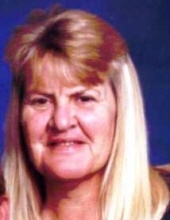 Diana L. "Di" Evans, age 70, of Gladstone, Illinois; passed away at 9:05 A.M. at Oaklane Nursing and Rehab in Stronghurst, Illinois on Friday, November 30, 2018. She was born on April 18, 1948 in Burlington, Iowa, the daughter of Leroy F. and Martha E. (Turnbough) Whitmore. Diana attended school in Biggsville, Illinois and graduated from Union High School with the Class of 1966. On November 26, 1999, Diana married Craig W. Evans in Gladstone, Illinois and he preceded her in death on May 4, 2006. Di worked for a time at the Catfish Bend Casino in Burlington and Ft. Madison as a slot attendant. She lastly worked as a caregiver for the Henderson County Health Department. She enjoyed collecting bears and Chicago Cubs Baseball. Di most of all, loved her family. Diana is survived by one daughter, Amanda (Amos) Woodrum of Ogden, IL, two sons, Chad (Jodi) Furnald and Dustin (Allison) Furnald, both of Danville, IA, one sister, Pam Furnald of Gladstone, IL, one brother, Frank (Margaret) Johnson of Gladstone, IL, nine grandchildren, and many nieces and nephews. She is preceded in death by her parents and husband. Graveside services are planned for 10:00 A.M. on Tuesday, December 4, 2018 in the Oquawka Cemetery. Her family plans visitation from 5:00-7:00 P.M. on Monday, December 3, 2018 at Turnbull Funeral Home in Oquawka, Illinois. A memorial is being established for the Gladstone Fire Department. To send flowers or a remembrance gift to the family of Diana L. "Di" Evans, please visit our Tribute Store. "Email Address" would like to share the life celebration of Diana L. "Di" Evans. Click on the "link" to go to share a favorite memory or leave a condolence message for the family.